There was no increased risk of myopericarditis in the 42 days following vaccination. There is no increased risk for myopericarditis in adults following live viral vaccinations, according to a study published in Vaccine. Reports of cardiac complications after smallpox vaccinations, while rare, have led researchers to investigate the incidence of inflammatory cardiac disease risk following other live viral vaccinations. 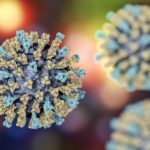 Researchers identified a retrospective cohort of 416,629 adults ≥18 years of age who received a measles-mumps-rubella vaccine, varicella vaccine, oral polio vaccine, or yellow fever vaccine between January 1, 1996, and December 31, 2007, from 4 health centers across the United States. During the study period, validated pericarditis diagnosis was made in 54 patients and validated myocarditis diagnosis was made in 18 patients. The majority of cases of myocarditis (67%) occurred in 18- to 29-year-olds, while cases of pericarditis were evenly distributed across age groups. Only a single probable case of pericarditis was reported in the risk interval of 42 days following vaccination. No cases of myocarditis or definite pericarditis occurred 42 days following vaccination. The incidence rate of diagnosed myopericarditis in the 42 days following vaccination was 0.24 per 100,000 vaccinated persons and there was no increased risk (incidence rate ratio, 0.57; 95% CI, 0.07-4.51). Investigators acknowledged that cardiac inflammatory disease is often difficult to diagnose, and therefore rates of disease may have been underestimated. However, “the rate of myocarditis and pericarditis in the 42 days following varicella vaccine, yellow fever vaccine, oral polio vaccine, or measles-mumps-rubella vaccine vaccination was very low” and “not statistically different than the rate of these events during unexposed, control intervals,” indicating that cardiovascular complications following common live viral vaccinations are rare in adults. Kuntz J, Crane B, Weinmann S, Naleway AL. Vaccine Safety Datalink Investigator Team. Myocarditis and pericarditis are rare following live viral vaccinations in adults. Vaccine. 2018;36:1524-1527.